um ein Gewerbe im Bereich Handel zu betreiben. to purchase retail goods such as cooking fat, flour, and soft drinks to sell to her customers. Purity benötigt für dieses Geschäft noch 925 US-Dollar. » Schon mit 25 US-Dollar können Sie Purity unterstützen! Geld wird für Purity gesammelt. Purity is 40 years old. She is married with two children. 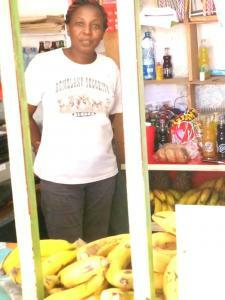 She has had a retail shop business for the past four years and earns a good profit. Purity has applied for her second loan of KES 100,000, which she will be using to purchase more retail goods as cooking fat, flour, and soft drinks to sell to her customers. She hopes that the anticipated income will help her to plow it back into her business. Her hopes and dreams for the future are to grow her business and be stable financially.